I have a little confession to share with you all. 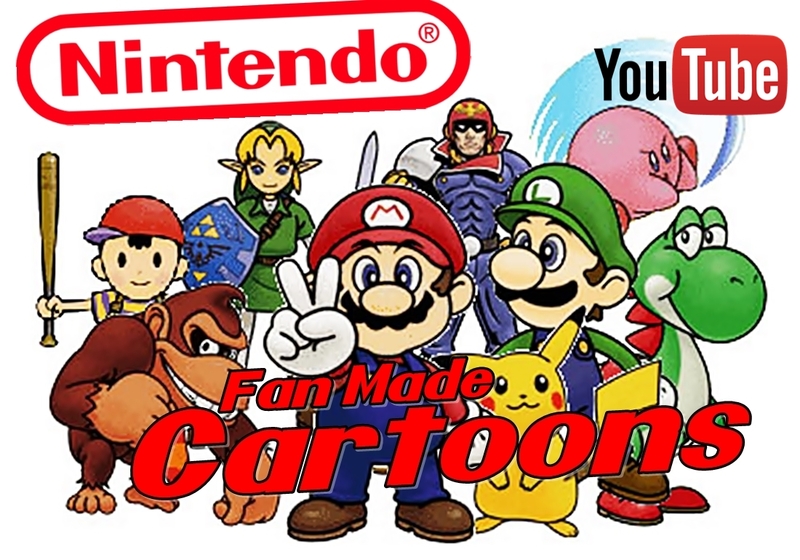 I still enjoy watching cartoons, especially those inspired by Nintendo whether official or parodies. Whether they are Animations made with Source Film Maker, Original Cartoon or Live-Action. At the moment I am quite enjoying cartoons created by Animator & YouTuber CharlesCBernardo. A lot of his cartoons are based on Wii U & 3DS games including Nintendo Land, Mario Kart, Super Smash Bros, Tri Force Heroes, Animal Crossing & even Splatoon. The cartoons themselves are well made and have plenty of entertainment value. I sincerely recommend them to anyone who enjoys fan projects as much as I do. To top off my favourite Animations is another YouTuber, Egoraptor. His videos have a more rhythic and musical theme to them in the sense that they are animated music videos with original songs inspired by and centered around videogame characters. A lot of the songs have a few cuss words but nothing too obscene, though there is always one who will disagree. If you like a little music and enjoy a more adult tones to your favourite games, the definitely check out his Starbomb Album. Which includes original songs, like SMASH! Regretroid, BEST Zelda rap EVER & Minecraft is for EVERYONE. Well that is my confession over for today. I sincerely hope you guys & girls will check out some of these YouTube Channels when you are bored they will surely lighten up your day. Until Next Time, Keep On Gaming!